Those sentenced to death for committing a crime are given one last opportunity to speak their minds. These last statements are sometimes given in the company of friends and family or in front of living victims of the crimes. Sometimes the statements are defiant but most often they express sorrow, repentance, and love: they demonstrate the prisoner’s humanity. Mainly focusing on the US and the Texas death row, recent research has addressed these issues, primarily by examining the content of last statements made by death row prisoners, but sometimes also taking into account the context of the executions: Who was present? How did this influence the content of the statement? This article seeks to uncover these findings and shed light on how prisoners use this final opportunity for self-expression. you, please find peace in your heart. As the only living creatures able to critically reflect on their mortality, humans hold a fascination with all things death-related. The finality of death alarms yet intrigues us. Perhaps because of this fascination we have created formal rituals around the departed: accident sites are adorned with flowers, and funerals often include a viewing of the deceased’s body. Words uttered on a deathbed are often quoted (see ‘Famous last words’, p.726). The same is true for executions, when a state-based authority has deemed that an individual’s crime is so heinous that he (for the vast majority of those on death row are male) must lose his life for it. A common ritual associated with the death penalty is the last statement, which is the focus of this article. In certain parts of the world, the death penalty has been part of the penal culture for centuries. The academic world has begun to take notice, with work examining the psychological characteristics of prisoners (Frierson et al., 1998; Lewis et al., 1986) and the effectiveness – and, ultimately, the morality – of the death penalty (Bedeau & Cassell, 2004; Cunningham & Vigen, 2002). Criminal punishment usually aims to reform the prisoner in the hopes that he can someday return to society: Is he demonstrating better behaviour? Has he earned his freedom? But in the case of the death penalty, this person is told that there is no chance of reformation. His life will be taken, but he is given the opportunity to speak some final words. These last statements have long held public interest, and a desire to take a closer look at these statements has surfaced in academic literature (e.g. Miller & Hunt, 2008). The case of the Texas death row in the United States has made this possible. The US is the only Western country to still have the death penalty (for a detailed history, see Argys and Mocan, 2004). In 2009, 94 per cent of all known executions took place in China, Iran, Saudi Arabia and the US (for 2009 figures from Amnesty, see http://bit.ly/d1td6w). The death penalty is currently legal in 35 states (see www.deathpenaltyinfo.org), but since 1976 more than a third of all executions in the US have occurred in Texas. Texas was also the first state to allow homicide survivors (i.e. friends and family of victims, also known as living victims) to attend executions. One only has to visit www.tinyurl.com/texasdr to learn about the process of execution and to uncover detailed information about each prisoner, including the crime they were convicted of, demographic information (gender, race, education level), and a photograph of the prisoner. Most importantly for our purposes, the full text of last statements is available on the website, greatly facilitating the process of examining content and perhaps contributing to an appearance of transparency. At the very least, online provision makes the Texas case easier to study, with the data more readily available. Though I focus mainly on understanding the content of last statements, I address two distinct perspectives. First, I examine research that focuses exclusively on the text of last statements, excluding all other contextual features. Second, I look at studies taking into account how the presence of living victims at executions may influence the content of last statements. Even the most fervent opponent of the death penalty will grimace after scrolling through the offender information on the Texas Department of Criminal Justice website. Sympathy brought to this exercise will be tested when they read about the gruesome deeds that led to convictions. The mind may be encouraged to draw conclusions about the race of offenders, their educational background or previous criminal history. But what about taking a step back, and trying a different tactic? Instead of exploring parallels between the demographics and the crime, focus instead on the text of the statement. Look only at the words that these prisoners chose to express. Vollum and Longmire (2009) took this approach, and searched for humanity in last statements. Through a content analysis of last statements, they uncovered major themes and constructed a detailed typology. Dominant themes that emerged in their research related to transformation and positive messages of connection to others. Despite the horrific nature of the reported crimes, this research demonstrated that prisoners wish to portray themselves positively during their final moments. Together with Andreas Schuck, I recently wrote an article entitled ‘Dealing with the inevitable: Strategies of self-presentation and meaning construction in the final statements of inmates on Texas death row’ (Schuck & Ward, 2008). As in the subsequent study by Vollum and Longmire (2009), we chose to look only at the content of the last statements, leaving out any references to demographic variables or type of crime. We simply wanted to examine the statements as final words from individuals that were facing imminent death. We started from the perspective of terror management theory (TMT) (Becker 1973; Solomon et al., 2004). People are motivated to avoid the negative feelings that result from imagining their own death: terror management. This is employed through defence mechanisms that help peopleto feel more secure about their place in the world. In other words, in order to deal with the reality of death, individuals immerse themselves in their cultural beliefs. TMT research has empirically demonstrated that individuals, when reminded of their eventual death, will reinforce their cultural worldviews and identify more strongly with, for example, religion, ethnicity and political affiliation, and even with their favourite sports team (for a review of findings see Arndt et al., 2005). At the time we conducted the study we were only aware of one similar piece of work on the topic. Heflik (2005) published a content analysis of 237 last statements (between 1997 and 2005, also from the Texas death row) and found six themes: forgiveness, claims of innocence, silence, love/appreciation, activism, and afterlife belief. We expanded on Heflik’s method and examined 283 statements between 1982 and 2006 and searched for strategies of self-presentation (that is, opportunities to represent one’s identity). We reported a textual framework that demonstrated a consistent pattern in the statements. Prisoners began by addressing relevant relationships and moved to expressing internal feelings. Next, they defined the situation (e.g. accepting or denying responsibility) and then dealt with the situation (e.g. through self-comfort, forgiveness or accusations). They ended with a short statement of closure. We found that final statements are primarily used to construct a position self-image, stemming from an apparent desire to gain control over a powerless situation. The structure we uncovered works for both those expressing a discourse of acceptance (‘I am guilty’) or a discourse of denial (‘I am innocent’). Do such findings enhance an understanding of the prisoner’s situation? Do these interpretations provide humanity to the prisoners? Next, I turn to research that also takes into account the victims’ perspective. Sympathy rarely lies with the defendants in death row cases. Rather, many are concerned with the state of mind of (living) victims. Two recent articles in Justice Quarterly (Eaton & Theuer, 2009; Rice et al., 2009) acknowledge the idea that last statements may in some way benefit the living victims of the crime. For victims, the healing process can be enhanced if prisoners confess to the crime or show repentance (e.g. Karremans et al., 2003; Maltby et al., 2005). Perhaps with this logic in mind, from 12 January 1996, the Texas Board of Criminal Justice adopted a rule that permitted living victims to attend executions. During the execution a wall separates victim witnesses and prisoner witnesses though both have visual access to the death chamber. Rice et al. (2009) argued that it is necessary to balance survivors’ rights and prisoners’ rights, calling this ‘emotionally intelligent justice…a way to reduce the cruelty of offenders and of the justice system itself’ (p.296). Rice et al. (2009) focused on the emotional makeup (i.e. emotional language) of the prisoners’ statements. They also looked at the potential impact of survivors attending the execution. They found that prisoners were more likely to make a final statement when living victims were present (68 per cent made a final statement prior to 12 January 1996, before victims were present, and 82 per cent made a final statement after this date). Further, prisoners about to be executed were more likely to express guilt and repentance in the presence of living victims, and were less likely to make a claim of innocence. It is unclear what living victims’ presence explicitly means here, but the authors also mentioned benefits to prisoners: if a confession is embedded in the statement, it may also be therapeutic to the prisoner himself. With this in mind, another article in same issue attempted to discover more about remorse-related content in last statements. Looking at last statements between 1982 and 2007, Eaton and Theuer (2009) found that one third of prisoners apologised and most of these apologies were directed at the victim’s family. As in Rice et al. (2009), they theorised that both victims and prisoners benefit if the offender offers an apology and shows remorse. The authors pointed out thata death row prisoner’s apology would do nothing to change the death sentence, so it probably does not occur out of selfish motivation. This does in fact support their perspective on benefits for living victims. But might there also be other motivations for showing remorse? How about the image that the prisoner is attempting to portray? After all, the last statement is not just about consoling the victims – it also signals the end of the prisoner’s life. Academic interest appears to be growing when it comes to better understanding the content of last statements. At the same time, a common criticism of textual analysis is that it is necessary to speculate about the broader contextual meaning. For example, how can we be sure that last statements are not being expressed with irony? Moreover, should we take the context into account when deciding on meaning? It is important to remember that the person giving the last statement is lying strapped to a table, with both friends and adversaries observing his last moments of life. Clearly these words are spoken under duress. The state takes this prisoner’s life; in exchange, he is offered a few minutes to speak his mind. Given such a powerless situation it seems quite reasonable that prisoners would respond in an emotional way. But what, precisely, shapes their words? 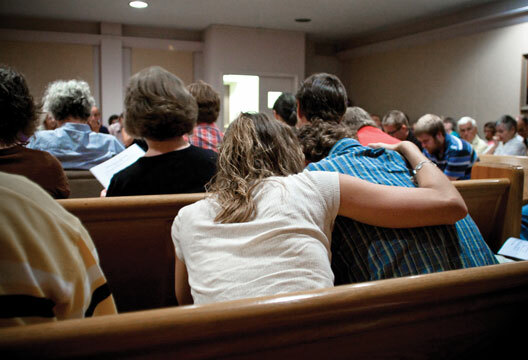 Is it the presence of living victims that spurs an urge to confess and ask for forgiveness? Other factors may be at play. A prison chaplain is part of protocol at Texas executions. Perhaps because of this religious presence prisoners find a need to turn back to a moral code. Whatever the motivation or combination of factors, it is clear from a number of studies mentioned here (i.e. Schuck & Ward, 2008; Vollum & Longmire, 2009) that in this moment for many prisoners, a demonstration of their own humanity is of utmost importance. When factoring in the presence of victims, this urge seems to intensify. However, at a jury-chosen death’sdoor and even when witnesses are present, a substantial number of prisoners choose not to speak. About a quarter of all prisoners put to death do not make a final statement Shuck & Ward, 2008). After examining the research presented above, what can we say about those that remain silent? They seem to break with predictions made by terror management theory, and provide no clue whatsoever to their state of mind. There seems to be a limit in understanding prisoners with this method of analysis. Research presented here also leaves conflicting views about the predictability of the statements’ content. In Schuck and Ward (2008), we argued that there is a clear underlying pattern to all statements, whether the prisoner admits guilt or claims innocence. On the other hand, when factoring in the presence of victims, Rice et al. (2009) found that prisoners seem more likely to make a final statement that expresses guilt and repentance and also were less likely to express innocence. In the early stage of any research topic such conflicting findings are common; if interest continues to grow, future researchers should take into account these various viewpoints in constructing a more holistic view of this topic. Articles in the fields of psychology and psychiatry have made earlier attempts to better profile death row prisoners (e.g. Lewis et al., 1986); perhaps future research can find a way to mesh what we know about prisoners with what we know about the content of their last statements. Executions continue in the US, and many more prisoners remain on death row. For example, Mumia Abu-Jamal is a 55-year-old African-American man who was convicted for the 1981 murder of police officer Daniel Faulkner and sentenced to death. He has continually claimed his innocence, though he sits on death row near Waynesburg, Pennsylvania. On 6 April 2009, the United States Supreme Court ruled that his original conviction of 28 years ago would stand, but no decision has been made on whether he will remain imprisoned or be sentenced to death. Abu-Jamal is well known as an activist and journalist, and has published widely about his experience, for example in his book Live from Death Row. If his death sentence goes forward, what would we expect from him? Will he remain defiant in his final minutes on thegurney? Will he say nothing about his guilt or innocence? Either way, will he have anything to say to comfort the victim’s family? As long as the practice continues, even in a climate of political outrage that often surrounds the practice of the death penalty, such communication from the condemned will continue to provide a link to exploring perspectives on human mortality. Upon entering the viewing room, witnesses observe the prisoner already strapped to the gurney. Thick glass and steel bars separate the inmate chamber from the viewing room. A microphone is suspended above the inmate’s head and there are speakers in both viewing rooms. The unit warden stands at the head of the gurney and the unit chaplain stands at the foot. Both remain there until the inmate is pronounced dead… Prior to the execution, the warden will ask the inmate if they want to make a last statement. At this time the inmate may say anything they desire. Some express remorse for their crime; others will use this time to criticise the Texas criminal justice system, or proclaim their innocence. A few will choose not to make a statement. The witnesses are discouraged from attempting to communicate in any manner with the inmate. Last words are an individual’s final utterances at death or are spoken as death draws near, and are often but not always accurately recorded. This fascination extends beyond the last words of death row prisoners. For example, www.en.wikipedia.org/wiki/Last_words documents a number of famous last words, including Oscar Wilde’s ‘Either that wallpaper goes, or I do.’ www.mapping.com/words.html lists Real Last Words from Famous People, such as Charles II, King of England, Scotland, and Ireland: ‘I have been a most unconscionable time dying, but I beg you to excuse it.’ Francisco ‘Pancho’ Villa, the first Mexican Revolutionary General, said, ‘Don't let it end like this. Tell them I said something.’ Another website, www.planecrashinfo.com/lastwords.htm, is dedicated to last words via cockpit voice recordings, transcripts, and traffic control tapes. Argys, L.M. & Mocan, H.N. (2004). Who shall live and who shall die? An analysis of prisoners on death row in the United States. Journal of Legal Studies, 33(2), 255–283. Arndt, J., Routledge, C., Cox, C.R. & Goldenberg, J.L. (2005). The worm at the core: A terror management perspective on the roots of psychological dysfunction. Applied and Preventative Psychology, 11, 191–213. Bedeau, H. & Cassell, P. (2004). Debating the death penalty: Should America have capital punishment? New York: Oxford University Press. Cunningham, M.D. & Vigen, M.P. (2002). Death row inmates’ characteristics, adjustment and confinement: A critical review of the literature. Behavioral Sciences and the Law, 20, 191–210. Eaton, J. & Theuer, A. (2009). Apology and remorse in the last statements of death row prisoners. Justice Quarterly, 26(2), 327–347. Frierson, R.L., Schwartz-Wattz, D.M., Morgan, D.W. & Malone, T.D. (1998). Capital versus noncapital murderers. Journal of the American Academy of Psychiatry and Law, 26, 403–410. Heflik, N.A. (2005). Sentenced to die: Last statements and dying on death row. Journal of Death and Dying, 51(4), 323–336. Karremans, J.C., Van Lange, P.A.M., Ouwerkerk, J.W. & Kluwer, E.S. (2003). When forgiving enhances psychological well-being: The role of interpersonal commitment. Journal of Personality and Social Psychology, 84, 1011–1026. Lewis, D., Pincus, J., Feldman, M. et al. (1986). Psychiatric, neurological and psychoeducational characteristics of 15 death row inmates in the United States. American Journal of Psychiatry, 143, 838–845. Maltby, J., Day, L. & Barber, L. (2005). Forgiveness and happiness. The differing contexts of forgiveness using the distinction between hedonic and eudaimonic happiness. Journal of Happiness Studies, 6, 1–13. Miller, K.S. & Hunt, S.A. (2008). Exit stage left: A dramaturgical analysis of media accounts of executions in America. Journal of Criminal Justice and Popular Culture, 15(2), 189–217. Rice, S.K., Dirks, D. & Exline, J.J. (2009). Of guilt, defiance, and repentance: Evidence from the Texas death chamber. Justice Quarterly, 26(2), 295–326. Schuck, A. & Ward, J. (2008). Dealing with the inevitable: Strategies of self-presentation and meaning construction in the final statements of inmates on Texas death row. Discourse and Society, 19(1), 43–62. Solomon, S., Greenberg, J. & Pyszczynski, T. (2004) The cultural animal: Twenty years of terror management theory and research. In J. Greenberg, S.L. Koole & T. Pyszczynski (Eds.) Handbook of experimental existential psychology (pp.13–34). New York: Guilford. Vollum, S. & Longmire, D. (2009). Giving voice to the dead: Last statements of the condemned. Contemporary Justice Review, 12(1), 5–26.